2) Dental Implants – An implant involves many parts: implant, abutment, and crown. The implant is the actual screw, which is placed in the bone for stability. The crown –the part that looks like the actual tooth – is what sits on top of the implant, via the abutment. Most dentists are only able to place the crown and abutment, after the specialist has placed the implant. But because Dr. Seo gained extensive surgical experience at his residency, he is able to place the implant itself. Make Morton Ranch Dental your one stop shop for implants! 3) Extractions – When a tooth is too far decayed and it is causing a lot of pain, sometimes the only option is to take it out. Dr. Seo has extensive experience in removing all kinds of teeth, including wisdom teeth. At Morton Ranch Dental, we make sure to get the tooth 100% numb in order to make this as comfortable for the patient as possible. If needed, our dental clinic offers laughing gas or oral sedation to make the experience easier. 4) Laughing Gas and Oral Sedation – Dr. Seo is trained and certified in the implementation of laughing gas and oral sedation to make his patients more comfortable during procedures in our dental clinic. 5) Family Dentistry – Dr. Seo and staff are happy to see patients of all ages, and children as young as 3. We treat families all over Houston and the surrounding areas, and we’ve found that it’s incredibly convenient when families share a dentist. 6) Dentistry for Kids – We know that going to the dentist for an adult can be difficult, but it can be a major challenge for a child. When treating kids, Dr. Seo makes your child feel at ease. One way of doing that is by using laughing gas, a very safe tool in managing a child’s anxiety. He also uses a certain anesthesia technique, which takes a little longer, but virtually eliminates the pain associated with an injection, making our dental clinic the go-to choice when you’re searching for a kids dentist. Oral sedation is also offered if needed. For the extreme cases, we refer to a great pediatric dentist. We think it’s important to create a comfortable experience for the patient – especially the pediatric patient – so that as adults, a fear of the dentist will have not been developed. We wish to create a positive association to the dentist, which will last for a lifetime. 7) Cosmetic Dental Care – When you look in the mirror at your smile, do you feel confident? Happy? Or does the sight of your smile make you frown? Not to worry, since we offer a wide range of today’s most popular cosmetic dental treatments. Whether you’re in need of teeth whitening, composite fillings, porcelain bridges, or other options to create dazzling results, we can make it happen. 8) Restorative Dentistry – At some point, most of us will need our teeth restored. We may need a misaligned bite dealt with, old dental work repaired, or cosmetic fillings done. Whatever the issue, we’ll first discuss a treatment plan with you. Then we’ll carefully explain the process, so you can move forward with confidence. 9) Root Canal Therapy – Many dental services just treat problems on the outside of teeth. But Dr. Seo is able to go straight to the core. An untreated cavity or fractured tooth can cause intense pain and tooth discoloration. 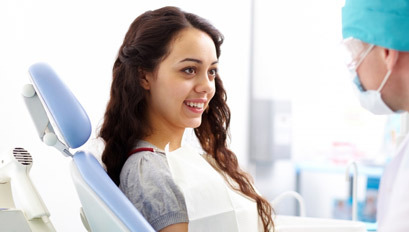 We’re able to provide safe and effective root canal therapy. 10) Deep Cleaning/Gum Surgery – There is a pocket that exists between our teeth and gums. In health, the gums are tightly wound around the teeth, and these pockets are very small. In diseased gums, the gums are loose around the teeth, and they tend to trap debris and bacteria. This can cause bad breath, bleeding when brushing, and even bone loss leading to ultimate tooth loss! A deep cleaning is necessary to bring the gums back to health if they’ve been neglected. Sometimes gum surgery is needed to reduce these pockets so they don’t trap the debris and bacteria anymore. All of this is done to maintain the healthy foundation of your teeth so you can eat and chew without issues. Also, we suggest having exams and cleanings performed twice a year. By doing this, we’re able to keep your smile bright, your teeth clean, and jump on any oral health issues while they’re in the early stages. We can also help if you need wisdom teeth removal! Whatever the issue, our dental clinic is here to help. Contact us today, and we’ll help you return to ideal dental health and a brighter smile.